Happy New Year! 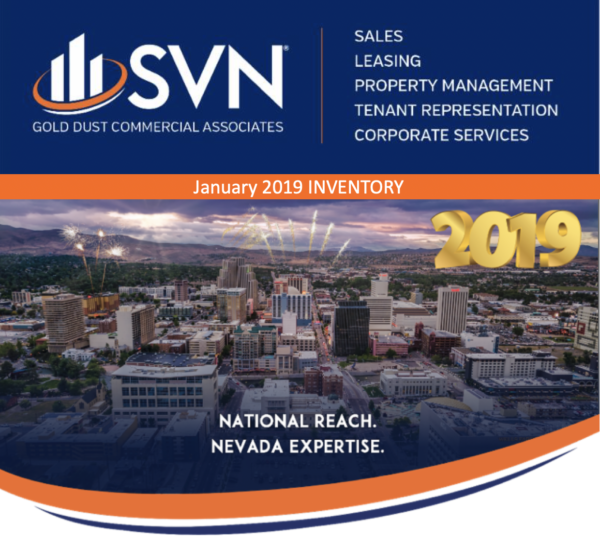 SVN Gold Dust Commercial Associates is pleased to present the inventory report for January 2019. New listings include an industrial space located at 995 S. McCarren Blvd. and a Redevelopment Opportunity in Reno. A fully occupied office investment space at 855 Maestro Drive. Broker Casey Prostinak closed this deal in only 10 days! View and search the complete inventory here.